This project began many months ago when my wife, a crafter, pinned this glue gun rack to one of her Pinterest boards. When I saw it I figured it would be easy to make and improve upon, so I re-pinned it to my Neat Things Carolyn Would Like Me To Build board. The pin that started it the odyssey. Fast forward a few weeks from my initially seeing it and after a particularly rough day at work I declared that I would need some time alone to unwind and headed to the shop. 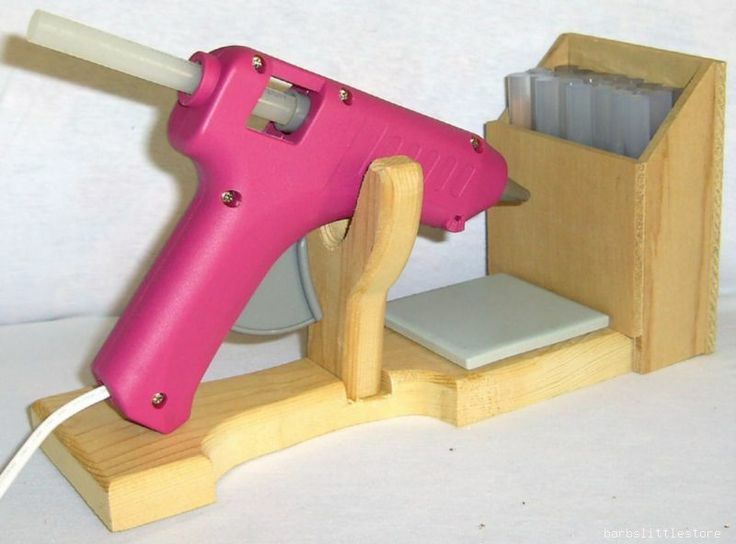 That’s when I set to building my version of the glue gun rack. I decided that the the glue gun rack I built would be an experiment in sculpted design. Specifically, I wanted to juxtapose a rigid, rectilinear design on two (2) edges, while creating a flowing, sculpted surface on the other two (2). I made the glue gun rack from some scraps of Walnut and Ebony I had on hand. As with any process, it began by milling the lumber flat and square. Then I did my basic layout. Figuring out where things will go. First, I glued the Ebony to a piece of Walnut to make a large billet. Then I used my Domino to make the mortises in all the pieces. With the joinery done, I marked out the basic shapes on each piece, and rough cut them on my band saw. Rough shaping prior to assembly. The final step before glue up was to recesses out for the glass tile the tip of the glue gun rests on. To do this, I used my small DeWalt trim router with an 1/8” spiral upcut bit and the plunge base. I routed freehand to within about 1/8” of the line and then cleaned up the edge with my chisels. Next time, we'll glue up and begin shaping.